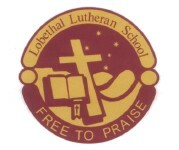 Lobethal Lutheran School is committed to provide a Christian education to the children in our care catering for the children’s academic, social, emotional and spiritual needs. It is with this in mind that we offer the class and staffing structures that we do, have policies and procedures in place to ensure the children’s safety and the smooth running of the school, with staff who are committed to the school’s mission and vision. All this is done in the overall context of a caring, encouraging and supportive school community where children, staff, parents and friends work together to strive for improvement and excellence, fostering a team effort with communication being a key element.